This is not your typical how to setup your WordPress site. While youll learn basic member area setup, it answers deeper questions that most courses fail to answer to help you multiply your business profits and growth. In this specific video youre going to be given a quick overview of the entire video course as a whole. Youre also going to be given a list of all the things you will need in order to make this work, and of course how it all works. We also want to make sure that youre in the right mindset before you implement the system – so that you can be successful. Getting your community to interact is a great sign of them trusting you. So, in this specific video I am going to give you practical methods that you can apply to get your community to interact with you and ultimately trust you, to the point that they are willing to buy products from you or buy whatever youre promoting through your affiliate link. When your community interacts with you, you need to make sure that you have systems in place that provide effective communication between you and them as well as between each other. So, in this specific video Im going to cover how to make sure that your WordPress blog is able to provide a solution to this need. Unfortunately most customers buy a product, take a look at a product, and dont do anything with the product, so they end up becoming frustrated. But we want to avoid that by helping them take action and helping them succeed with your product. If you can do this, you’ll have a customer for life. Unfortunately most WordPress membership site owners forget about branding, and dont realize that it hurts them in the long run. Theres not a whole lot that you have to do - its very basic, and only costs you 10 minutes or less. 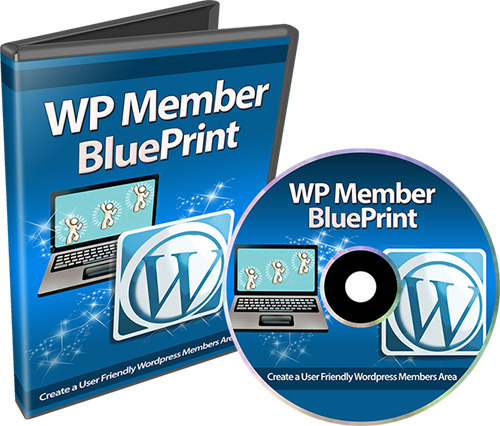 WP Member Blueprint (with Resell Rights) wordpress;wp member blueprint 242333517 30.97 resellrightsvideos Fresh Download Available!